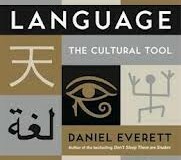 discusses some problems and needs for clarification that are connected with the use of the concepts culture, language, tool, and communication in Daniel Everett’s recently published book, Language: The Cultural Tool. It also discusses whether the idea of biological readiness and preparedness for language (rather than grammar) can really be disposed of as a result of Everett’s very convincing arguments against a specific genetic predisposition for the syntactic component of a grammar. a basic prerequisite for understanding others (and also for having them understand you) is to have some shared concepts on which this understanding can build. If speakers of different languages didn’t share some concepts to begin with then cross-cultural understanding would not be possible even with the best of will on all sides. at many points this stance makes nonsense of Everett’s own data and distorts the conceptual world of the Pirahã. 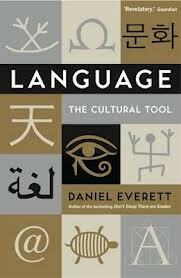 Since he does not want to recognize the existence of any shared concepts, Everett is also not prepared to address the question of a culture-neutral metalanguage in which Pirahã and English conceptual categories could be compared. This often leads him to imposing cultural categories of English (such as “evidence”, “tolerance” and “parent”) on the conceptual world of the Pirahã. The result is a combination of exoticism and Anglocentrism which doesn’t do justice to Everett’s long and intimate engagement with the Pirahã people and their language. Sadly, it blinds him to what Franz Boas called “the psychic unity of mankind”, reflected in the common semantic features of human languages and fully compatible with the cultural shaping of their lexicons and grammars. Unfortunately, there are no abstracts for Everett’s replies and I don’t have access to them, but this special issue looks like a welcome contribution to the important debate about the relation of language, culture, cognition, and anything in between.